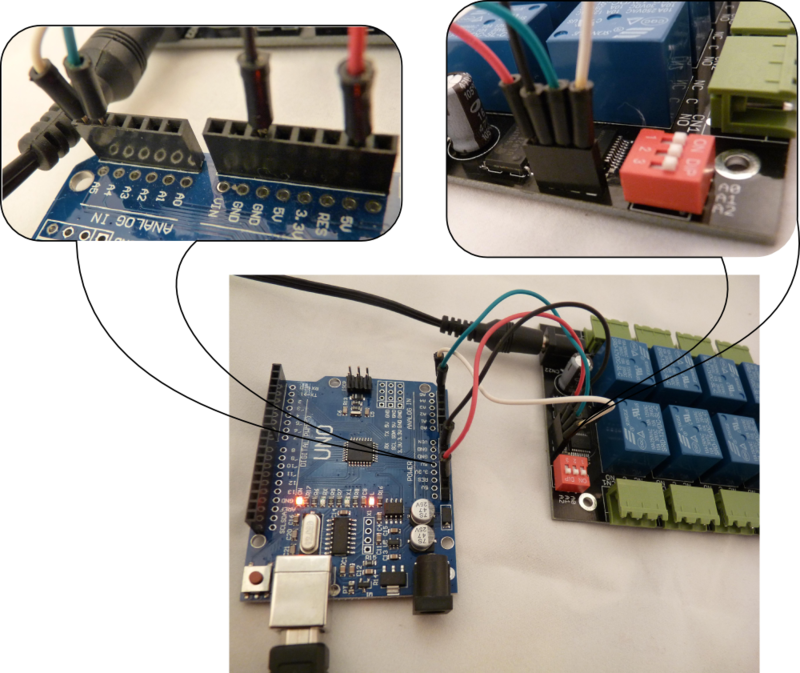 The logic power supply voltage should match the voltage levels on the I2C bus. 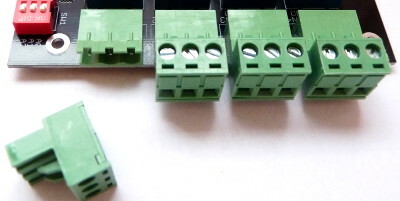 The SDA and SCL lines are pulled up to VDD with 47k resistors on the relay module. 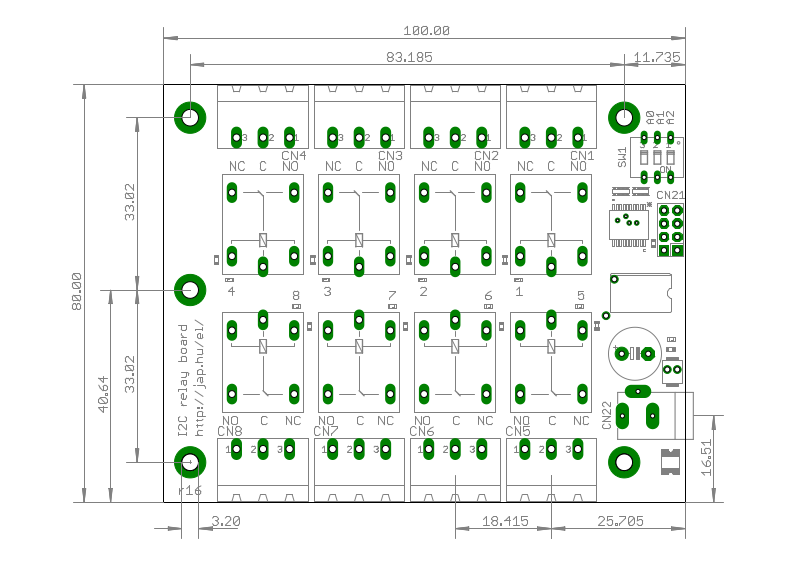 The module contains an MCP23008 chip, please check the datasheet for the details. Numbers for <n> can be given in decimal, hexadecimal or binary format. Hexadecimal numbers are prefixed with '0x', binary numbers are prefixed with '0b'. Command output base can be also set to hexadecimal with switch -ox, decimalwith switch -od or binary with switch -ob. read the actual state of the relays. The output value is an 8-bit number, where a bit value of 1 means that the corresponding relay is ON, a bit value of 0 means the corresponding relay is OFF. read the actual state of the relays. Same as the previous command, but the output is printed in decimal. read the actual state of the relays. Same as the previous command, but the output is printed in binary. 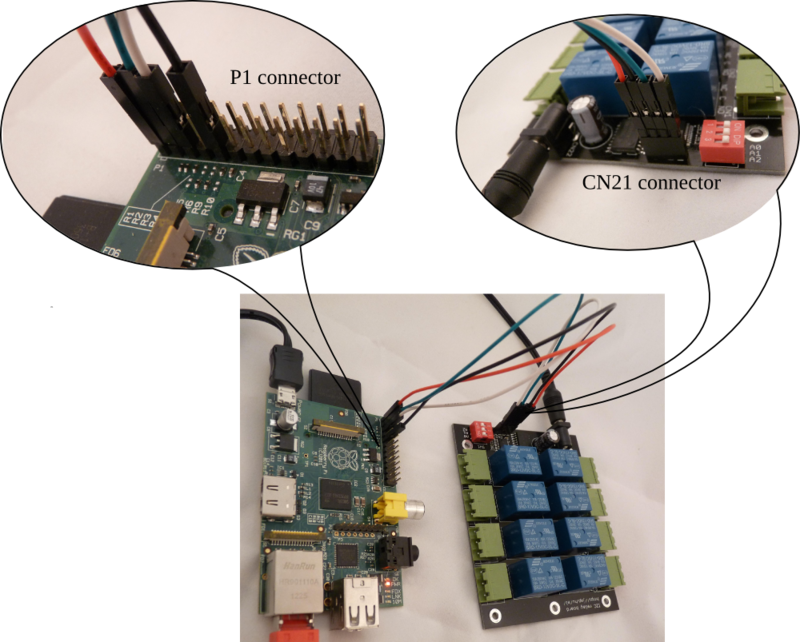 The relay module address was found on the i2c-0 bus with address 0x20 (setup with SW1). 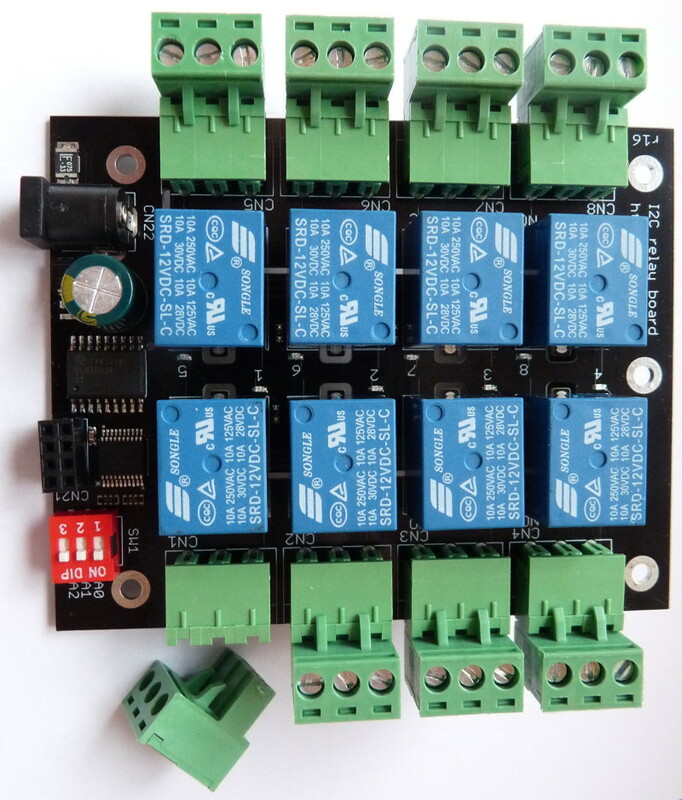 The bus number (0) and address (0x20) detected will be used in the following steps to select the relay module.